PDF forms are in use across every industry and domain. While they are an effective means to acquire data from users just with the help of a PDF viewer, they can also become the user interface for data entry in an application. 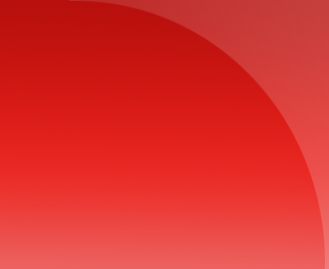 In this session, we will see how to use PDF forms as data entry user interfaces in your Delphi FireMonkey applications using Gnostice XtremeDocumentStudio. Weâ€™ll learn about PDF forms in general, then build an app, using a standard PDF form, to help perform a pre-flight check for drone flight. Weâ€™ll also look at programmatic interactions with the fields, and batch import of PDF forms data to a database. This session is slated for Wednesday, November 8, 2017 from 10:00am - 11:00am Central Time. Gnostice invites you to attend the presentation and also participate in the Q&A following it. Gnostice has participated in previous virtual conferences. 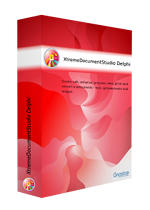 The next-generation document technology from Gnostice, XtremeDocumentStudio Delphi, enables Delphi developers to work with PDF and Office documents. In this session we will get hands-on with the many new features of the technology: True FireMonkey mobile PDF, Word, and image viewing; implementing document review workflows on mobile and desktop devices; document generation and much more. The PDF and Word engines have been rebuilt from the ground-up for full FireMonkey mobile support. We will get to see how to build applications with real examples. This session is slated for Wednesday, November 16, 2016 from 8:00am - 9:00am Pacific Time. Gnostice invites you to attend the presentation and also participate in the Q&A following it. Embarcadero hosted a 3-day online conference for Delphi/C++Builder developers in October 2014. Gnostice founder and CEO Girish Patil presented a technical session titled "Working with PDF and Office Documents using VCL and FireMonkey." In this session, we take a deep look into the all-new multi-format document-processing toolset for Delphi/C++Builder from Gnostice. We take a brief look at architectural details of the product and then go into using the product. You'll get to see real code examples for viewing, printing, converting and processing documents in Delphi VCL and FireMonkey on desktop and mobile devices. You'll also see examples of document-processing using StarDocs, the new Gnostice REST-based document server. Gnostice founder and CEO presented a session titled "PDF and Office document processing tools for C++" on February 26, 2014. In this session, we'll take a tour of the new products and features of the Gnostice XtremeDevSystem suite of tools for electronic document processing. Processing that includes creating, viewing, printing, editing and working with formats such as PDF, DOCX and others. We'll look at the VCL version using Delphi and the .NET version using Delphi Prism. Along the way, we'll also look at some general technological aspects of the PDF format. Gnostice participated in CodeRage 6 (Embarcadero's annual online developer conference) from October 17 to October 21. Gnostice presented a session titled "Exploring the new Gnostice PDFtoolkit 4 for Delphi Win 32/64" on Friday, October 21. In this session, Gnostice founder and CEO Girish Patil took attendees on a tour of the new Gnostice PDFtoolkit 4 and showcased its many new features and new interactive PDF Viewer. He also demonstrated how to leverage the new extensible widget framework of the PDF Viewer and implement a custom annotation widget for the PDF Viewer. He also gave a quick look at a few Gnostice .NET tools, especially a new 100% .NET font rendering engine. Gnostice exhibited at CodeRage 4 virtual exhibition hall between September 8 and 11. Founder and CEO Girish Patil presented two sessions. In the second session, Girish introduced this new VCL products subscription. It gives you unmatched value for money. Gnostice exhibited at CodeRage III virtual exhibition hall between December 1 and December 5, 2008. Girish Patil (CEO, Gnostice) gave a presentation on "Working with PDF documents using Delphi and Gnostice PDF Tools." During the presentation, Girish announced promotional offers exclusively for conference attendees. After the presentation, attendees posed their questions directly to Girish in a special CodeRage chat room. Gnostice participated in this conference conducted between November 26 and November 30, 2007. Gnostice presentation was titled "Top 5 PDF User Needs Solved using Gnostice PDF Tools." Gnostice participated in this conference conducted between March 11 and March 16, 2007. The Gnostice presentation was titled "Using Gnostice PDF & e-Reporting Tools Suite."